I hate to break it to all the Jimmer fanatics out there (and the ESPY'S as well) who hung on every pump fake and 30 foot three-pointer the BYU guard made last season, but the story of the year in college basketball was Kemba Walker. Fredette might have owned the more impressive stat line and shooting percentages, but Walker essentially willed an inexperienced roster, which was picked to finish 10th in the Big East before the season started, to an incredible 11-game winning streak which culminated in UConn's third National Championship. Part of the reason why the Huskies weren't even thought to be one of the nine best teams in their own conference was because no one knew just how good the 6'1'' guard from the Bronx was going to be in his junior season. Of course, Walker didn't come out of nowhere to suddenly drop a combined 90 points in three games against Wichita State, Michigan State, and Kentucky as Connecticut opened up their season by winning the Maui Invitational title, but he also wasn't expected to be THIS good. As a sophomore, Walker posted averages of 14.6 points, 4.3 rebounds, and 5.1 assists, very impressive numbers to be sure, but there wasn't much that indicated he would be able to take UConn where he did last season. During the 2009-10' season in which Walker shared the court with Jerome Dyson, Stanley Robinson, Gavin Edwards, and Ater Majok (who somehow heard his name called on draft night a few weeks ago), the Huskies limped to a disappointing 18-16 record. When this past season began, the likes of Dyson, Robinson, Edwards, and Majok were gone, which allowed Walker to dominate the ball but left plenty of questions about who would be supporting the junior guard. The combination of Alex Oriakhi and a class of freshmen which included only one player who cracked ESPN's Top 100 (and no, that player wasn't Jeremy Lamb) isn't exactly an overwhelming supporting cast, but thanks in large part to the maturation of a few of these young guys and Walker's superhuman play, UConn was the last team standing this past April. Walker's rise from a solid player on a team that lost in the second round of the NIT to an All-American who led his team to a championship is what makes college basketball so great. Watching young players improve and add different layers to their game as they become the leaders of their team is one of the most exciting things about college hoops in my opinion, and Kemba Walker is the latest case in point. This type of maturation is a fairly common occurrence in the college game but it just so happened that the player who arguably took the biggest leap from one year to the next also led his team to a title. It rarely works out this way mostly because it's the departure of important surrounding players that allows a previously solid player to step up, while these departures also significantly weaken a given team. The fact that things worked out perfectly for Walker and UConn is a testament to many factors, including the luck of the tournament draw, officiating, and the old cliche of "peaking at the right time." But the fact remains that UConn won the title and Walker's leadership was a big reason why. Re-living Walker's magical season got me thinking about which returning players have the potential to make a similar jump next season, which could allow them to carry their teams further than many people may think possible. More than likely, we won't see anyone accomplish what Walker did last season, but since it's the middle of July and the Women's World Cup is currently the biggest sporting event we have, I figured I'd go searching for the next Kemba Walker. It seems fitting to start the discussion with Lamb, who was Walker's teammate last season and definitely possesses a similar ability to take over a game. 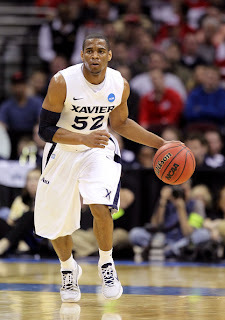 Lamb struggled early in his freshman season only to emerge as one of the most intriguing players in college basketball during the Big East and NCAA Tournaments. As he heads into his sophomore season, there's plenty to like about the 6'5'' swingman's game and whether he's spotting up for three, creating his own shot off the dribble, or using his athleticism to get out in transition, Lamb shouldn't have much trouble scoring next season. I already nominated Lamb's continued maturation as one of the 10 things college basketball fans should be excited about next season and after his recent performance in the FIBA U19 World Championships it seems like we could be witnessing a future star in the making. 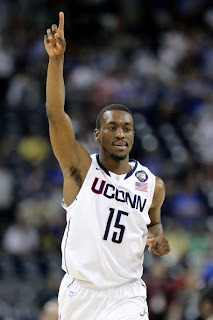 What makes Lamb's potential to have a dominant season even greater is the fact that Kemba Walker's 23.5 points and 18 shot attempts per game have moved on to the NBA, meaning that there will be plenty of scoring opportunities for the remaining players on UConn's roster next season. Jordan Taylor was one of the best players in the Big 10 last season and his leadership was a huge reason why Wisconsin posted a 25-9 record and earned a top-five seed in last year's NCAA Tournament. Considering the way he dominated certain games as a junior, it's certainly not a stretch to say that Taylor has the ability to do that on a nightly basis as a senior, especially now that Jon Leuer has graduated. Wisconsin is a traditionally slow paced team which focuses more on defense than on running up and down the floor, but someone on this roster has to put the ball in the basket and Taylor will no doubt shoulder a huge load as the Badgers go-to scorer next season. His powerfully built 6'1'' frame and sweet long distance stroke gave defenders all kinds of trouble last season and should allow him to rack up points in a hurry next season. Taylor's breakout performances against Michigan State (30 points), Ohio State (27 points), and Indiana (39 points) were just a sampling of his explosive scoring ability, and it seems likely that these types of games should happen with more regularity during his senior season. Overall, Tu Holloway enjoyed a magnificent season as Xavier's do-it-all leader, but two late season let-downs put a damper on an otherwise brilliant campaign. The Musketeers suffered losses to Dayton in the Atlantic 10 tournament and to Marquette in the first round of the NCAA Tournament as Holloway failed to show up on the biggest stage. Holloway's five-point performance on 1 of 8 shooting against Marquette was a bitter disappointment for Xavier fans who were hoping to see their team reach the Sweet 16 for the fourth season in a row. The Hempstead native was also considering declaring for the NBA on the heels of his great season, but after failing to make a name for himself in the Tournament, he decided to return for his final year of eligibility. Holloway's attacking style of play and ability to create his own shot allows him to get to the free throw line seemingly at will and while he isn't a great shooter, he certainly is a great scorer. If he's been working on his shooting touch over the summer, the entire nation should watch out for this senior guard. With the departures of Brad Wanamaker, Gilbert Brown, and Gary McGhee, Pittsburgh figures to be a very different team next season. Fortunately, Jamie Dixon does return is his leading scorer, Ashton Gibbs, who briefly tested the NBA waters before deciding to return to school. The numbers don't lie, and Gibbs nearly 50 percent three-point success rate makes him one of the deadliest shooters in the country from nearly anywhere behind the arc. 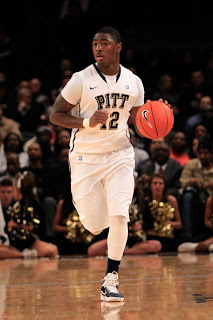 The 6'2'' New Jersey native has improved significantly in each of his first three seasons with Pittsburgh and as a senior, he will no doubt take on a big leadership role and be an even more important part of the Panthers offense. There's no doubt that Gibbs is one of the best shooters in the nation but the rest of his game is still developing. As a junior, he showed some major signs of becoming more comfortable as a distributor (2.8 assists) as well as becoming more comfortable creating his own shot off the dribble. Two facets of his game which could really allow him to take the next step and become a dominant offensive force as a senior. Darius Johnson-Odom rebounded nicely from some cold early season shooting to lead Marquette in scoring as a junior. The former junior college transfer certainly has all the physical tools to be an explosive player at the collegiate level and he has shown flashes of this ability throughout his first two seasons with the Golden Eagles. Possessing a smooth lefty jumper with good range, Johnson-Odom put together a sparkling first season under Buzz Williams in which he shot 47 percent from long distance and was a huge boost to Marquette's offense. He took a step back last season, connecting on just 36 percent of his attempts, but it's obvious when you watch him play that he has the ability to heat up from deep and go for 25 or more points on any given night. Johnson-Odom also has a quick first step and very good strength, which makes him a tough player to prevent from penetrating or spotting up in the half court and a nearly impossible defensive assignment in transition. Coming into his senior year, DJO will be asked to carry more of the team's scoring load now that Jimmy Butler has moved on to the NBA, and he could be in for a huge year as Marquette's primary offensive option. Three players from the Horizon League have been drafted by NBA teams in the last two years (Gordon Haywayrd, Shelvin Mack, and Norris Cole), and Detroit's Ray McCallum Jr. just might continue that streak next year. The former McDonald's All-American who spurned basketball powerhouses like UCLA, Florida, and Arizona to play for his father at Detroit, enjoyed a very successful freshman season. Although McCallum's first year in the Horizon League didn't lead to much national notoriety or success for Detroit, there are many who think the Titans can be a Cinderella team next season, and Ray is a big reason why. A floor general who excels on both sides of the court, McCallum should continue to improve as a sophomore, where his ability to both take over a game and make those around him better should only improve. McCallum might not be a household name just yet but he's definitely got the talent and the mentality to become a transcendent star at the collegiate level in the near future. 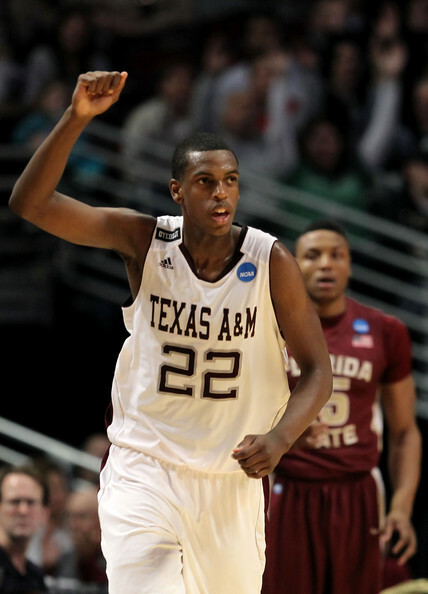 Texas A&M fans could be in store for some very special things out of Khris Middleton next season. The 6'7'' forward is being talked about as a future first-round pick thanks to his length and ability to score from the perimeter with ease. Middleton's breakout sophomore season, which saw him double his points per game while becoming the Aggies primary offensive threat, was certainly impressive and this maturation figures to continue next season. In addition to Middleton likely becoming more assertive and aggressive on the offensive end of the floor, Texas A&M's new coach, Billy Kennedy, has said that he is going to make sure the Aggies push the tempo next season instead of running the slow-down system that Mark Turgeon utilized during his time with the program. An emerging talent like Middelton coinciding with Billy Kennedy's new philosophy could very well create some fireworks down in Texas and propel A&M to a Big 12 title and deep NCAA Tournament run. John Jenkins made some impressive strides during his sophomore season and although he was probably one of the premier shooters in the country as a freshman, people finally took notice of him last year. Jenkins definitely wasn't shy about shooting the rock as he took nearly eight three-pointers per game last season, many of which helped the Commodores put together a very good regular season before they experienced another disappointing performance in the NCAA Tournament. Last season, Jenkins silky shooting touch and quick release made him a player that opposing teams needed to account for at all times and he should be an even bigger headache next season. At the same time, Jenkins wasn't much more than a deadly shooter last season and if he's going to take the next step he will need to add more variety to his game. 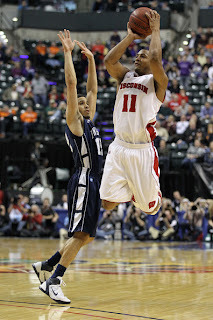 A reliable pull up and the ability to take the ball to the basket would essentially make Jenkins unstoppable, and although no one's going to confuse him with Peyton Siva when it comes to driving the lane, it would certainly keep defenders honest if they thought he was going to put the ball on the floor once in a while. Even if he never fully develops the rest of his offensive game, Jenkins has already proven that he's an explosive offensive threat, and he will be vital to Vanderbilt's success this coming season. When you go from being a decent bench contributor to your team's leading scorer in the span of a season, it's clear that you're a player on the rise. Ramone Moore's performance for the Temple Owls last season turned quite a few heads in the Atlantic 10 and as a senior he will be looking to make himself known nationally. 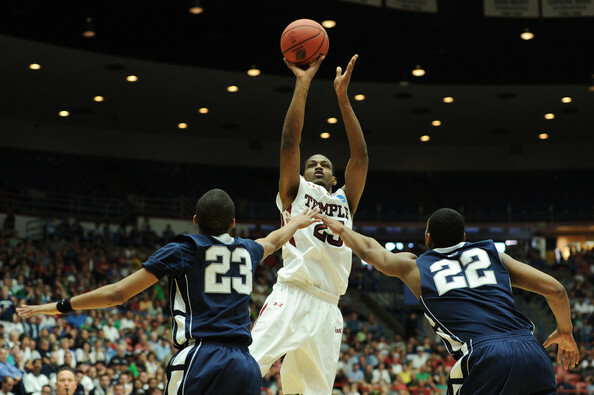 Moore saw vast improvements in pretty much every statistical category as a junior and whether he was leading Temple in scoring or setting his teammates up for buckets of their own, he made a huge difference for the Owls last season. The departure of Lavoy Allen essentially cements Temple as a guard/wing oriented team that will live and die by how well their perimeter guys play. This certainly isn't bad news for Moore or Temple, as guys like Juan Fernandez, Scootie Randall, and Khalif Wyatt have all proven to be capable players. All of these guys should see their roles increased next season with Moore being a major beneficiary of even more touches and opportunities to make good things happen for Temple. He showed last season that he can stroke the three at a dangerous rate, and if he can continue to get more aggressive and get to the free throw line, Ramone Moore could have quite the season. 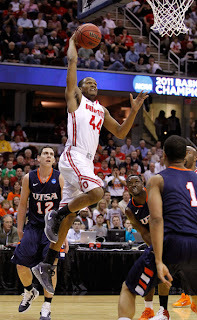 Although Jared Sullinger is one of the premier players in the country, William Buford will be an extremely important part of Ohio State's offense next season. Buford was second on the team in scoring (behind, you guessed it, Sullinger) and was the team's most consistent perimeter threat for the majority of the season. Jon Diebler's ridiculous 50 percent three-point shooting exploits will probably be talked about for the next 20 years in Columbus, but Buford also established himself as one of the nation's premier shooters last season. Possessing the ability to score in pretty much any situation, Buford is an extremely tough cover for opposing defenders and the 6'5'' guard has that rare ability to make difficult shots look easy. He can beat you spotting up, slashing to the basket, off the dribble, from long range, and with a hand in his face. Simply put, William Buford can really score. The only troubling thing about Buford's game is the fact that he was essentially allergic to the free throw line last season, attempting just under two free-throws per game. If Buford's game is going to take the next step, it's vital that he get to the line more often where he can turn his over 80 percent success rate into easy points. 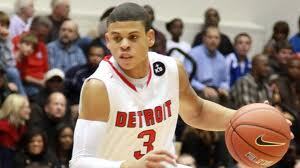 If he's able to do that, Buford has the potential to be one of the nation's premier scorers and leaders next season.